Citroen Australia has announced an all new range of engines for the Citroen C5 Sedan and Tourer which not only offer new levels of performance and fuel economy; they also meet the new Euro V emissions standard which means lower emissions and the ability to maintain them for longer. In addition to the two new engines, the Comfort version of the Citroen C5 is now fitted with a new sporty interior trim that blends soft French leather and refined fabrics to produce a fresh new look for the Citroen C5 and C5 Tourer (wagon). Why is Euro V significant? An 80 per cent drop in the permissible levels of particulates from diesel engines. An 80 per cent drop in NOx emissions. All Emissions Equipment must remain compliant with standards up from 100,000 Km to 160,000 km. Vehicles will be tested in Europe for compliance over 100,000 km and five years from new. Stricter rules for Electronic On Board Diagnosis so that the car will give owners warning about non-compliance from lower levels of variance from the set emissions levels. Although it shares the dimensions of the previous 2.0 litre HDi engine, the new power unit is truly new, with the only common component with the previous engine being the crankshaft. In particular the new engine has a new, stiffer block, a new cylinder head that enables the engine to breath more efficiently (13 per cent more air admitted to the engine), new pistons and combustion chambers to work with the new 200 bar high pressure injection system, new, more powerful turbocharger, new engine management system, new levels of noise, vibration and harshness reduction and longer service intervals for the particulate filter. These changes enable the new 2.0 litre engine to offer a 6.0 per cent increase in torque, up from 320 to 340 Nm at 2,000 rpm, while at just 1,250 rpm the new engine is already providing a 10 per cent increase in torque. Power is lifted by 20 per cent from 100 to 120 kW, while engine noise is a cut by 1 dB. Meanwhile, CO2 emissions drop by an average of 6.3 per cent across the C5 range. The new engine has a dramatic effect on performance, with nearly three second clipped off the 0-100 time, which drops from 12.8 to 10.0 seconds (13.3 to 10.2 for the C5 Tourer), while the top speed is lifted, where the law permits, from 201 to 210 km/h (198 to 208 for the C5 Tourer). Yet, across the board, fuel consumption improves, with the Combined Figure for the C5 sedan dropping from 7.1 litres per 100 km to 6.8 l/100 km. For the C5 Tourer, the fuel consumption drops from 7.2 to 6.9 l/100 km on the combined test. Naturally, CO2 emissions also fall, from 189 to 179 g/km. The move to the 3.0 litre engine from 2.7 litre lifts power from 150 to 177 kW and Torque from 440 to 450 Nm, but these figures belie the substantial changes made to the V6 Twin Turbo Diesel and beneficial effects these have on the road. To expand the V6 engine from 2.7 to 3.0 litres, bore has increased from 81 to 84 mm and stroke from 88 to 90 mm. To enable this a new 90 mm crankshaft is fitted with a new pulley hub attached with new M16 bolts. The new cylinder block has not only been enlarged, it has been strengthened, new pistons and rings have been adapted to the engine performance and there is upgraded piston cooling. New larger capacity twin variable geometry turbochargers are fitted, designed to enhance torque production. The variable displacement turbochargers mean that at low engine speed the Turbos can respond quickly in the manner of a smaller turbocharger, while at high speeds, by altering the angle of attack of their vanes, they can pump the high volumes of air required for high engine speeds. This also means that the drawbacks of non-variable displacement turbos are eliminated, most notably, turbo-lag from large turbos at low engine speeds and small turbos running out of “puff” at high engine speeds. The Turbochargers operate at up to 236,000 rpm and deliver a maximum of 2.4 Bar pressure. An all new injection system is fitted to the 3.0 litre V6 with the Siemans SID 201 system that operated at 1,650 Bar replaced by the Bosch EDC17 system with common rail system operating at 2,000, enabling high sustained levels of accurate fuel delivery. New Bosch common rails, piezo-electric injectors and 10 bar fuel return line are also fitted. Other upgrades include a new Duo-centric oil pump capable of a 10 per cent increase in flow and a new water pump. Like its processor, the new Citroën V6 HDi engine is fitted with a third generation particulate filter that is, thanks to its FAP OS3 dissymetric cells, both highly effective and self cleaning with the process managed by the Bosch EDC17 ECU. This process can either occur naturally if the use of the engine is suitable or the engine management system can clean the particulate filter by raising its temperature to 450 degrees. The new three litre V6 engine does not so much have a torque curve as a torque table top, such is its flatness. From 1,600 rpm to 3,500 rpm, the torque curve is actually perfectly flat at the maximum torque of 450 Nm, compared to the 2.7 unit which peaked at 1,950 rpm and then curved downwards. Even at the red line the new engine is still producing 300 Nm of torque. Power is also improved right across the rev-range; with not just more power – 177 kW vs. 150 kW – the power peak drops from 4,000 rpm to 3,800 rpm and high levels of power are maintained to the red line. These improvements combine to provide improved engine response across the road speed range as well as an engine that is more relaxed and capable. With the new 3.0 litre V6 under the bonnet, the C5 sedan now accelerates to 100 km/h in 7.9 seconds, compared to 9.6 seconds for the 2.7 sedan, while the C5 Tourer achieves the same benchmark acceleration run in 7.9 seconds, compared to 9.8 for the 2.7 litre versions. Fuel consumption also improves, down from 8.4 l/100 km on the combined test for the sedan to 7.4 l/100 km, while for the C5 Tourer; the comparable figures are down from 8.5 to 7.4 l/100 km. In recent years Citroën has provided a range of new models that have been both praised and rewarded for their visual appeal, accomplished design, environmental credentials, innovative technology and reassuring safety features. The new Citroen C5 is the latest in a range of cars renowned for their styling, from the C2 and C3 small cars, via the C4 and its people mover 'brother', the C4 Picasso, to the range topping Citroen C6. Even Citroen’s commercial vehicles, the Berlingo and Dispatch have a level of styling appeal that is more often absent from their rivals. Added their good looks, Citroen has also provided benchmark performance in safety, with the C6 lauded at its launch as the safest car tested by EuroNCAP, not just for occupants but also for pedestrians with its active bonnet safety system. Citroen has also ensured that their products also offer excellent value for money and high levels of standard equipment. Now Citroën is making prestige motoring even more alluring as it introduces the brand new C5. Benefiting from a completely new approach by Citroen's designers, the spacious C5 is the successful combination of French flair with Teutonic-like levels of quality, coupled with the highest standards of comfort, innovation and in-car technology for which the Citroen is renowned. 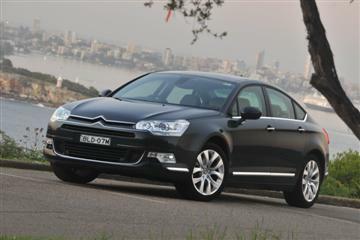 The Citroen C5 conveys a real sense of prestige, with its design in a classic, thoroughbred saloon body. The C5 will strike a chord with drivers looking for a vehicle with status, stylistic individuality and the levels of performance and reliability expected of a hard-working vehicle. Well equipped, the Citroen C5 comes with a long list of features that could add thousands of dollars to, or may not even be available on rivals. These include eight way electric front seats, self-levelling suspension, automatic electric parking brake and directional headlights, whilst every model in the range comes with at least seven airbags, ESP with traction control, automatic air-conditioning, speed limiter, cruise control, Adaptive Front-lighting System and Citroen's unique fixed hub steering wheel. With its long, sleek body, sculpted lines and high 'waist', the Citroen C5’s striking styling gives it a sense of status. The front of the car is characterised by large air-intakes and long incisive headlamps that flank the prominent chrome chevrons and assert the C5’s identity. From the rear, the distinctive concave window and two-part boomerang lights give it a purposeful, determined impression. Internally the Citroen C5 offers its occupants an environment of quality, comfort and safety. Utilising the brand’s most advanced vehicle technology, the new C5 offers an involved, reassuring and satisfying driving experience, ideally suited to drivers who spend long hours on the road, or for those seeking secure transportation for their families. Inside the cabin, the same taut, flowing lines seen on the exterior are replicated in the curvy detailing around the doors and dashboard, echoing the pursuit of quality throughout the car. Mood lighting further enhances this feeling, with ambient light glowing from the car’s doors and dashboard in the Exclusive variants. The styling is exemplified by the instrument panel design, where aviation-inspired annular needles run around each of the dials, allowing an electronic display unit to be integrated in the centre of each, providing the driver with further visual information. The aircraft theme also continues with the overhead warning lights. The new C5 is offered in a choice of two trim levels – Comfort and Exclusive and, typically for a Citroën, the C5 is extremely well specified. Cruise control and a speed limiter are fitted as standard, and all versions are equipped with an automatic electric parking-brake and hill-start assist. For ease of parking and pedestrian safety, the C5 is also available with rear parking sensors in all versions with front sensors standard on the Exclusive model and option on Comfort equipped cars. With the C5 comes the extension of Citroen's technology, such as the Company’s second generation fixed-hub steering wheel, which puts many of the car’s main functions, including cruise control, audio and telephone, right at the driver’s finger tips. The aesthetic and ergonomic design of the wheel allows for easy access to the tactile, membrane-covered controls, ensuring focus can be maintained on the road ahead, as well as allowing a larger, more effective asymmetric airbag. The Exclusive versions may also be specified with Citroen's new-generation NaviDrive system, featuring a 10 cm colour central display screen and voice activation of the built-in telephone, audio system and satellite navigation and it includes a 10 gigabyte hard drive for storing music and podcasts. Large Citroens are well known for providing the highest standards of occupant comfort, and the new C5 is no different, with special attention having been paid to the acoustics, suspension and seating. The C5 features soundproofing for total onboard comfort. Unlike other cars in the segment, it boasts multiple door seals, an acoustic windscreen for noise reduction and, on the Exclusive variants, laminated side windows, which not only dampen noise, but also make the C5 one of the most secure cars on the market. To work away the stresses of a busy day at the office and help drivers to relax on their way home, a seat back massage function is standard on the Exclusive, and front heated seats ensure that, whatever the weather, the driver and front seat passenger are literally seated in the lap of luxury. Offering the optimum mix of comfort and dynamics, the Citroen C5 has been developed with a choice of two suspension set-ups based on the running gear of the ultra-smooth C6 executive saloon, with double wishbone front and multi-link rear suspension, with Citroen’s unique Hydractive 3+ suspension ensuring maximum comfort, within the Comfort mode or the Sport mode. Drivers can also rest easy knowing that their car is not only comfortable, but extremely safe too. Citroën is renowned for producing some of the safest vehicles on the road and the new C5 is no exception. Equipped with the very latest Citroën technology, the C5 provides its occupants with reassuring levels of protection in the event of an accident. 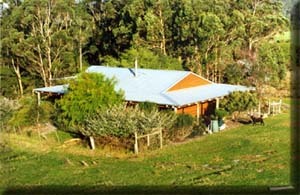 The stiffened body and cabin structure incorporate both upper and lower absorbers at the front to soak up energy released in the event of impact. Driver and passengers are fully protected by up to nine front, side and curtain airbags, as well as a specially provided torso-shaped bag which is deployed thanks to the unique Citroën-specific fixed hub steering wheel, for ultimate safety. Awarded a five-star Euro NCAP rating for adult occupant protection, the new C5 is one of the safest cars on the road. Control in difficult conditions is aided by the C5’s advanced braking system – Electronic Brakeforce Distribution, Emergency Braking Assistance, ABS and ESP are all fitted as standard. Citroen's new C5 is a child friendly environment, with four one-touch electric windows with an anti-pinch function and an electric child-safety lock for the rear doors and windows, all fitted as standard. Improved visibility and safety at night is provided by the C5’s enhanced headlight system. Not only are xenon dual-function directional headlamps fitted as standard to the Exclusive variants, but also Dynamic AFS (Adaptive Front-lighting System) is also standard, which improves visibility and safety on corners and at junctions. The Comfort model is fitted with static AFS. Load space is abundant, thanks to the split folding rear seats, which lie completely flat, to increase boot space. Access is made even easier by the unique shape of the concave windscreen, which provides a larger boot aperture. The Citroen C5 is available with two diesel engines, the 2.0 litre 120 kW four cylinder and the 3.0 litre 177 kW V6 Twin Turbo diesel that debuted in the Citroen C6. Both are matched as standard to a sophisticated six speed gearbox. 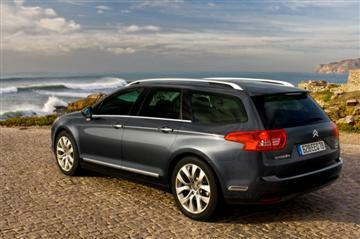 The new 2010 Citroen C5 is available with two body styles – Saloon and Tourer – with the same engine and trim choices. The range opens with the 2.0 HDi automatic in the Comfort level, priced at $49,990 as a saloon and $52,990 as the C5 Tourer excluding statutory charges and delivery fees. The same engine and gearbox with the Exclusive trim and equipment package is priced at $57,990 for the saloon and $60,990 for the Tourer, while the range topping 3.0 V6 Twin Turbo is available for $69,990 as a saloon and $72,990 as the Citroen C5 Tourer excluding statutory charges and delivery fees. NOTE: All prices are the list price and exclude the usual statutory charges and dealer delivery fees.